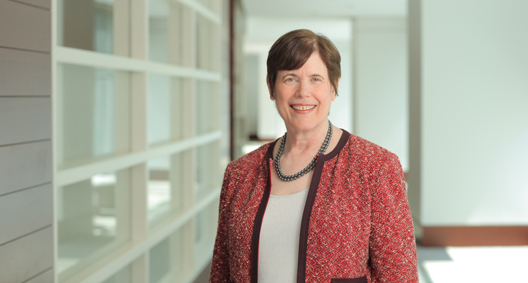 Judy Gechman represents companies in the antitrust and transactional aspects of mergers and acquisitions. She has a very active practice in all aspects of the Hart-Scott-Rodino Antitrust Improvements Act (HSR Act), beginning with analyzing the transaction for substantive antitrust issues, evaluating whether an HSR Act filing is required, determining possible exemptions and, if needed, establishing a clean team mechanism for sharing information. She assesses foreign filing requirements and counsels on gun jumping issues. She submits HSR Act filings and negotiates with the staffs of the antitrust agencies, the Antitrust Division of the Department of Justice and the Bureau of Competition of the Federal Trade Commission (FTC). In addition to the HSR Act and mergers and acquisitions, she works with clients on public and private debt and equity offerings, and general corporate matters. Assisted a global designer, producer and supplier of aircraft components in the antitrust aspects of the acquisitions of several manufacturers of aerospace products. The transactions ranged from $74 million to $1.27 billion. Prepared an HSR Act filing for a client who was sensitive about disclosing the information required in filing. Worked closely with the FTC to develop an agreement on disclosed information. Represented a composite material manufacturing and distribution company in the antitrust aspects of its sale to a specialty chemicals and material technology company for $439 million. Analyzed the economics of the industry in response to an FTC request. Worked closely with a client and the attorneys on the other side of a $370 million transaction in gaining approval of a transaction investigated by the FTC. Assisted a media conglomerate in antitrust aspects of the time-sensitive purchase of assets from a large broadcasting company for $212 million. Assisted an independent oil and gas company in a $1.2 billion senior notes offering. Coordinated with New York counsel under a critical timeline, enabling the company to complete the sale for optimal pricing. Assisted in an energy company sale of $150 million in senior unsecured notes due in a Rule144A private offering to eligible purchasers. Assisted Denbury Resources Inc. in its acquisition of Encore Acquisition Co. for $2.8 billion.